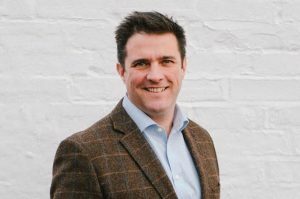 This week it’s the turn of Louis Hill, former member of the M&S Corporate Affairs team and now founder of The Source Partnership. There’s no shortage of real news this week, whether relating to Trump and his tweets, the ever-present Brexit issues or the potential break up of a 300-year-old union between the various nations that go towards making Britain great. I was therefore surprised by the news angle taken by the Daily Mail when reporting on the meeting between Nicola Sturgeon, the Scottish First Minister and Theresa May, the Prime Minister, at the start of the week. Were they reporting on the impact of Brexit on Scotland, a possible collapse of what’s arguably the most successful political union in history or even on how two of the most powerful people in Britain are women and how that could empower or inspire others? No, instead columnist Sarah Vine decided to focus on “Forget about Brexit, who won Legs-it”. The complaints to the press regulator are unlikely to gain traction but perhaps there’s a case for Ms Vine and the Daily Mail to think again about their archaic positioning. It also raises the question of whether the media is at times their own worst enemy and too slow to react to the changes in the landscape? It is sad to read that a further 40 jobs could be lost at The Telegraph Media Group as the company consolidates and that Johnson Press, publishers of the Yorkshire Post, are reporting a £300m loss. The traditional media remains as important today as ever, but they must embrace radical change to survive the continued rise of alternative news outlets and digital communications. Where the media has been excellent is the exposure to the brilliantly insightful programme ‘Rio Ferdinand: Being Mum and Dad’ where the ex-England star revealed how he managed to cope with the untimely death of his wife and ways of communicating with his three young children about the death of their mother. A Week in My Life: James Hyett, Commercial Director at Vortex CommerceFootballers are often criticised for being over paid and sometimes poor role models, however this short programme arguably had a more positive and lasting impact on young people than much of what he achieved on the football field. It’s great to see a successful sports personality extend his reach and influence into new areas, highlighting that passion, purpose and belief remain key to a successful campaign. Finally, to Wrap it up, it would be remiss of me not to mention the recently triggered Article 50 and Brexit. Although there’s concern regarding the potential impact, in my view the creative industries in the UK are world class and well placed to rise to the challenge.